Annie Rolland, FAIA, LEED AP, is a principal at FXCollaborative and Founding Director of the firm’s Cultural/Educational Studio. She has worked extensively in the New York City area, with major projects including the long-term development of the Calhoun School and the Ramaz Lower School, as well as the Hunter’s Point South Campus, housing three closely related schools. In these projects, Annie has demonstrated an ability to create memorable and joyful spaces in dense urban locations. She is now working, among other projects, on the planned Children’s Museum of Manhattan. In addition to her professional responsibilities, Annie is a chairperson of Nontraditional Employment for Women (NEW), an organization that trains and places women in skilled construction trades. She also sits on the Washington University Sam Fox School of Design and Visual Arts National Council, and is an active member of AIA New York, formerly the co-chair of the Architecture for Education Committee. Annie received her Bachelor of Architecture from the University of Washington in St. Louis. In her conversation with Julia Gamolina, Annie speaks about social responsibility, civic engagement, and integrity, advising young architects to not be afraid to fail forward. JG: Tell me how your interest in architecture first developed. AR: The interest was the confluence of a few things. My mom was a fashion designer and her expertise was in translating designs from conceptual ideas into producible garments. Craft was at the forefront of her approach - she knew which fabrics would work for a particular design, how to cut patterns to maximize production, and which machine would sew just the right seam. Dinner table conversations often focused on design and production techniques, so from a very young age I was taught to look at the world through a designer’s eye – color, texture, scale, proportion, materiality. In high school girls were required to take “Home Economics” a class focused on cooking, sewing, housekeeping. I had little interest. My neighbor was an amateur pilot - he often tinkered with his plane engines in his driveway as I would look on in fascination. I was seeking an alternative to the dreadful Home Econ. Class and asked school administrators if I could take auto mechanics so I too could tinker with motors and engines. This was not a class open to girls and thought to be for vocational track students only. I was neither. What they did offer was a drafting class taught by Mr. Klein - I jumped at the opportunity. Once I completed the drafting class I was eligible to take Mr. Klein’s industrial design classes, getting my first hands-on learning experience related to design. Architecture was a natural next step when applying to college. How did you get to Washington University in St. Louis (WUSTL) and what did you learn there? I was an athlete wanting to continue competing in college. Most of the architecture schools I applied to discouraged participation, but WUSTL not only encouraged it but worked with me to find a way to make it work. They conveyed the value of developing me holistically, and I knew that was what I needed at age 17 -I was not ready to completely focus on one thing. Coming to WUSTL was one of the best choices I have made in my life. A WUSTL education is a liberal arts education. 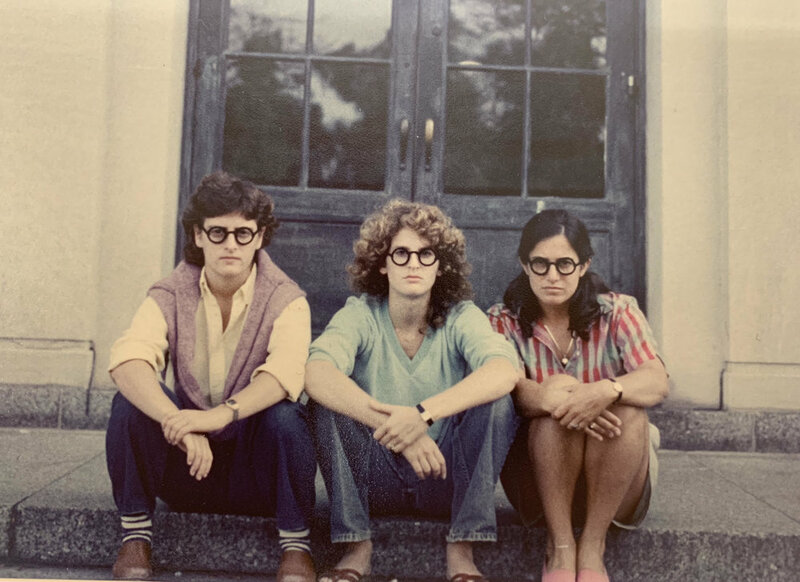 While I don’t want to undermine the excellent architectural education I received, I think the greatest lessons learned from my time at WUSTL were curiosity and exploration at all costs, lateral thinking, and the importance of being an engaged citizen. The culture at WUSTL was nurturing. They encouraged failure and provided a safety net for it. That opened up my world. Where did you get your start in the field? When I got out of school the economy was depressed – there were few architectural jobs. I was offered a temporary position at a firm called Stelle Gluckman; they were doing rollouts of David’s Cookies Stores and that got me started. Then through WUSTL’s alumni network I applied for a position at The Walker Group (now Walker Group CNI) The firm’s focus was on retail design. What appealed to me about that practice was that it was interdisciplinary. I spent about two years at The Walker Group and got a wonderful education. I left because I wanted to work on projects that had more longevity and impact, so I sought out firms that were involved in cultural projects. I joined the firm of Buttrick White & Burtis and that is where I truly learned to be an architect. They had a variety of projects at varying scales. I was assigned a small law firm project and was given a lot of latitude – take it and run. There were about 20 employees at the firm, many with 3 – 4 years of experience. We learned from each other. Mr. Halsey, a senior architect, was planted in studio to answer our questions. My BWB peers and Mr. Halsey are who I owe the development of my technical skills to. I am still in touch with most of my BWB colleagues. My next experience was to join Fox & Fowle Architects, now FXCollaborative (FXC). A structural engineer reached out to me and said Sylvia Smith had recently started a studio at FXC focused on Cultural / Educational projects. She was looking for a “wingman” (wingperson to be PC!) to join her in developing the practice. He thought we would be a perfect fit for one another - he was an excellent matchmaker! I interviewed with Sylvia in 1997 and have been here ever since. What has been the main take away from all your time at FXC. One of the appeals in joining FXCollaborative was that they were at the forefront of sustainable design. They had just completed the 4 Times Square project and were leading in the industry in this arena. I was quite interested in sustainability, mostly from a tectonic point of view. That changed quickly. The ethos toward sustainability at FXC was an extension of their mission - a practice founded on the notion that architects have an obligation to contribute to the betterment of society and a civic duty to improve the world we live in, and sustainability was only a piece of it. This mission changed me as an architect and gave a whole new dimension to my work and my career. What you learned regarding social responsibility and civic engagement from FXC is what I’m learning from you now, especially from your involvement with Non-traditional Employment for Women (NEW). Tell me about NEW. About 7 or 8 years ago I was invited to an open house at NEW. A NEW graduate spoke about the training she received and how that training has transformed her life. I was hooked by her story and how NEW empowers women. Immediately I asked how I could get involved and help. I was asked to join NEW’s Ambassador Council, a group that connects NEW women with the construction industry, and I have been involved ever since. NEW is a game changer. Perhaps what resonates most for me is its pay-it-forward impact. Many of the women who are trained by NEW are single moms, struggling to provide for themselves and their children. Nontraditional Employment for Women (NEW) prepares, trains, and places women in careers in the skilled construction, utility, and maintenance trades, helping women achieve economic independence and a secure future for themselves and their families. The women gain a heightened self-esteem, their children have a role model, and the cycle of poverty is broken - there could not be a more fantastic organization. How has being socially responsible and civically engaged enhanced your career? Those two things are my reference points as an architect. They are in the DNA of my approach and how I practice my profession. The focus of my work is with cultural and educational clients - to advance their missions and their ability to evolve. These projects inherently touch people’s lives and contribute to the advancement of our society. I have been so fortunate to work with amazing institutions. Architecture is like a narcotic – it hooks you and you can never get enough. In looking back over my work and my career I have had the chance to contribute in meaningful ways, in ways that have transformed lives: to create a joyful public school where children feel comfortable and know they matter, to resurrect a synagogue decimated by fire so a congregation could rebuild their community, to design a safe haven for homeless youths attempting to re-engage with life. Where I am at with my career today is that I want to do and contribute more. Perhaps the greatest role at this point in my career is to mentor. To instill in others what I have learned and evolved to be. To pass on values and an ethos, not only in how as architects we can contribute in meaningful ways, but that it is our obligation to do so. Integrity and authenticity. It is that simple. 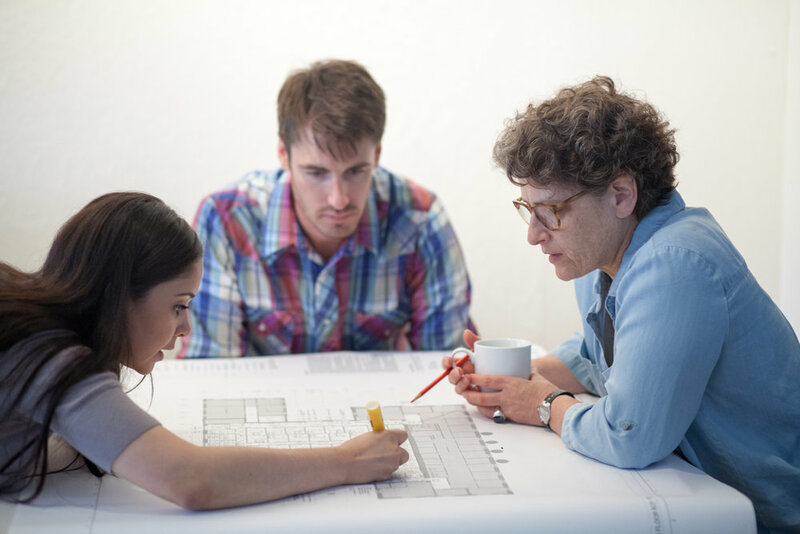 What advice do you have for architects starting their careers? Find your passion and pursue it, and allow yourself to fail forward.